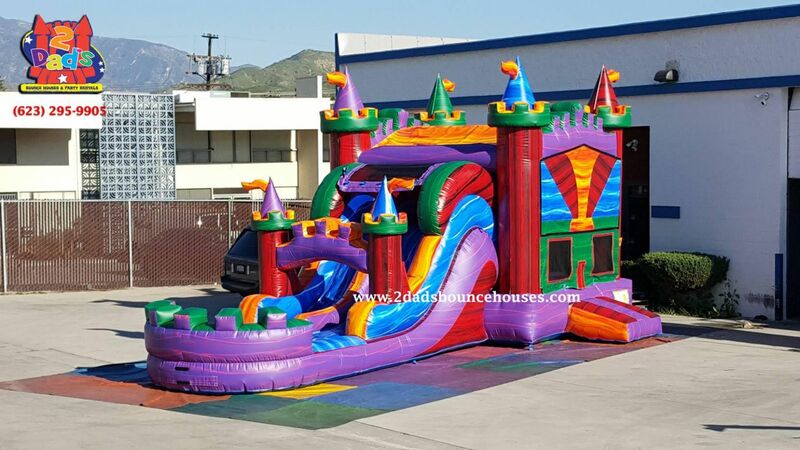 This bounce House water slide rental is our new Marvelous Marble Dual Lane Water Slide Combo Bounce House. The Marverlous Marble bounce house Water slide combo is great for any party and brand new for the 2019 season. 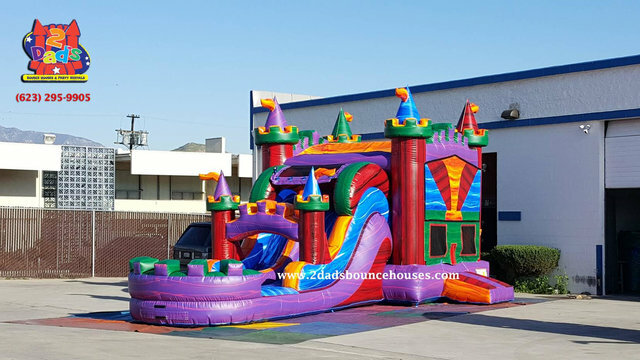 This bounce house is great for both girls and boys with its large jump area, basketball hoop, climb wall, and Dual Lane Water slide. Reserve your bounce house today! This Can also be used as a dry combo, click on Dry slides.